There’s something pretty magical about storytelling ‘ especially when it’s a story about an epic journey exploring the great outdoors, hanging out in your favourite neck of the woods, or wandering around somewhere off the beaten path. So grab your favourite book (or your digital reader), get cozy in your hammock and get ready to whisk yourself away on a new adventure. 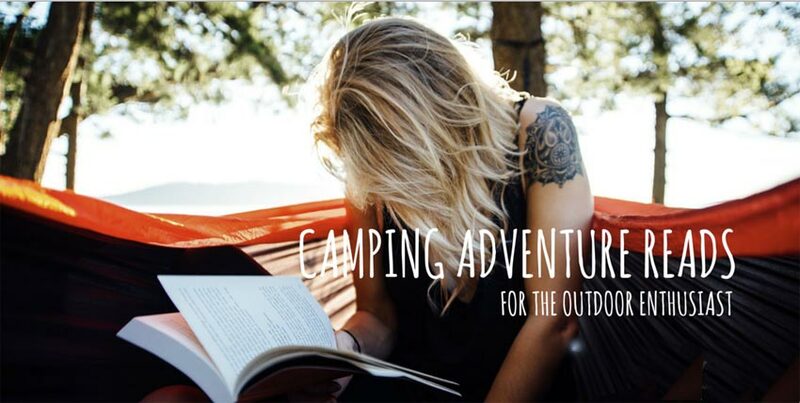 For a little inspo, check out our booklist of camping adventure reads for the outdoor enthusiast ‘ young and young-at-heart! Seaplanes and canoes and helicopters, oh my! Quirky and candid, this book dives into storytelling about the coast-to-coast gem we call Canada. Two best buds + one trailer + one mountain + one waterfall = one camping spree and plenty of rhyming fun! In the spirit of Dr. Seuss, this fun outdoorsy adventure stars two dogs ‘ with two very opposite approaches to getting things done while camping. For the trivia buffs and crossword puzzle gurus in your crew, tote around this book in celebration of all things Canadiana. It’s a great way for passengers ‘ big and small ‘ to pass the time on the road and keep their minds so busy that they forget to ask, ‘Are we there yet”. What do you get when you tackle a 2000+ mile hike through the Appalachian Trail’ A whole lot of stories and lessons to share ‘ and a lot of laughs to boot. Get ready to embark on an A-Z adventure across Canada, visiting some famous national landmarks along the way! A fun little tale about three little pigs and their camping shenanigans! If cookbooks are more your cup of tea, pour through these pages for a little culinary inspo for your next RV trip. Find out how the ‘Dinner in a Bag Concept’ will have you eating like a king in the woods ‘ with more time to go on a hike, hang out around the campfire or take a nap in the hammock. Grab your flashlight and get ready for some spooky ghost stories around the campfire. Spine-tingling fun ‘suitable for campers aged eight to eighty’! Chances are, you’ll be that guy or girl at the campsite who’s laughing hysterically while reading this book. This collection of random thoughts and things Canadiana by ‘the funniest writer in Canada’ (The National Post) makes for a great companion read on your next road trip across our beautiful country. Any of your favourite camping adventure reads missing from this booklist’ Feel free to share your ideas with our #RVersKnow community. Connect with us on Facebook, Twitter or Instagram. Happy reading, folks!